Engagement is one of Google’s most important ranking factors today. This means that when you put content on your site, it must be designed from the beginning to engage your audience. To make them want to comment, share it, and Like or Plus it. 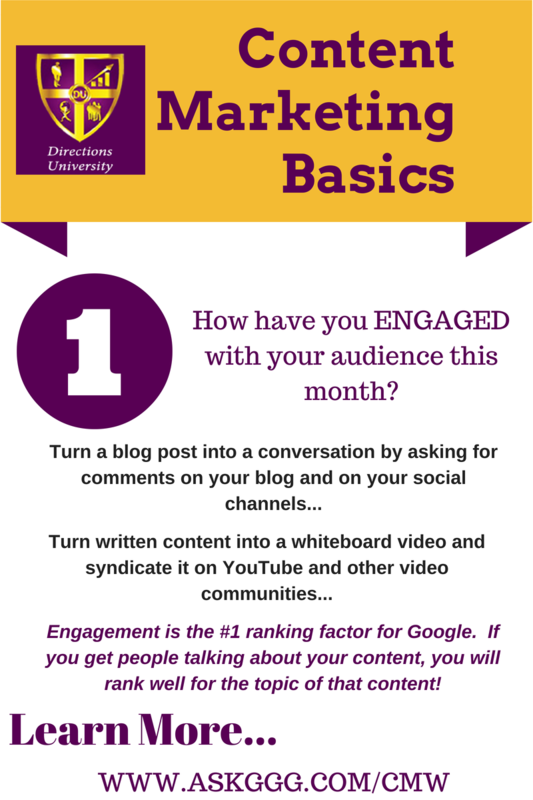 So what have YOU done this month to engage with your audience? Have you re-purposed it for different channels? 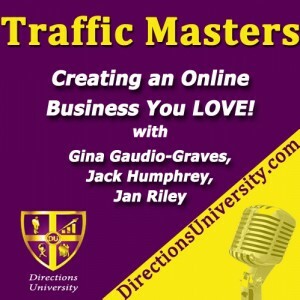 Podcast – video – audio – presentations – graphics? Each medium has at least one ideal community to share it on based on the format. Pictures for Pinterest and other social, text and pics for your blog, audio for podcast channels, and video for video channels. 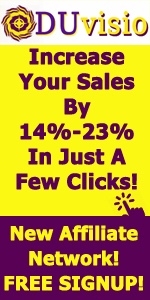 One piece of content can go a VERY long way for you. Most people only use one and then start creating more content from scratch, which is a giant waste of time and resources. Until you’ve used your latest piece of content in every way possible, don’t move on to another project. Get every ounce of value out of everything you do, and thoroughly promote it and chat it up on social, email, and other sites around your niche. To learn EVERYTHING about content marketing and how to use it to explode your engagement, your reach, your rankings, and your profits, register now for Directions University’s Content Marketing Master Class.